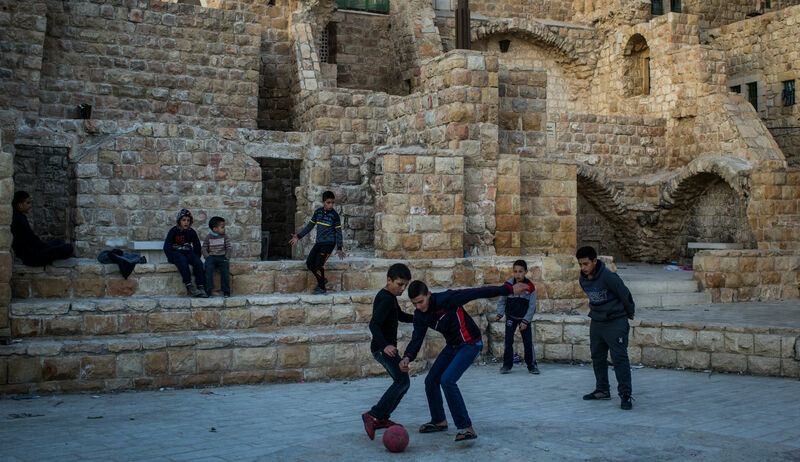 Palestinian boys playing soccer in the West Bank city of Hebron. Chris McGrath/Getty Images. Daniel Polisar is the executive vice-president and a member of the faculty at Shalem College in Jerusalem. [I]f the choice is one state, Israel can either be Jewish or democratic—it cannot be both—and it won’t ever really be at peace. Moreover, the Palestinians will never fully realize their vast potential in a homeland of their own with a one-state solution. Most on both sides understand this basic choice, and that’s why it’s important that polls of Israelis and Palestinians show there is still strong support for the two-state solution—in theory. They just don’t believe that it can happen. In emphasizing the “strong” popular support on both sides for a two-state solution, Kerry was following in his own footsteps. Whether in public statements or in private meetings with Israeli and Palestinian leaders, he had repeatedly cited polling evidence to advance his case for a two-state solution throughout his four-year tenure at the State Department. In brief, it is commonly asserted that there is majority support among Palestinians and Israelis for a two-state solution, but that misguided policies and a growing lack of mutual understanding are rapidly closing the window of opportunity. In what follows, my purpose is to determine what in fact is the extent and the nature of support for a two-state solution among the Palestinians. When especially relevant, I will also make reference to findings from surveys of Israelis, though to this and related issues in Israeli public opinion I plan to devote a more in-depth examination in the future. As with Israeli opinion, the benefits of investigating Palestinian public opinion should be obvious. Palestinian views on a two-state solution have substantial ramifications regarding the leeway their leaders have in negotiations with Israel, the expectations with which Israelis should approach talks, the ability of third-party brokers like the U.S. to bring the sides together, the steps most likely to bring about a peaceful and stable resolution, and the prospects that a two-state solution will be durable if the sides succeed in striking a deal. 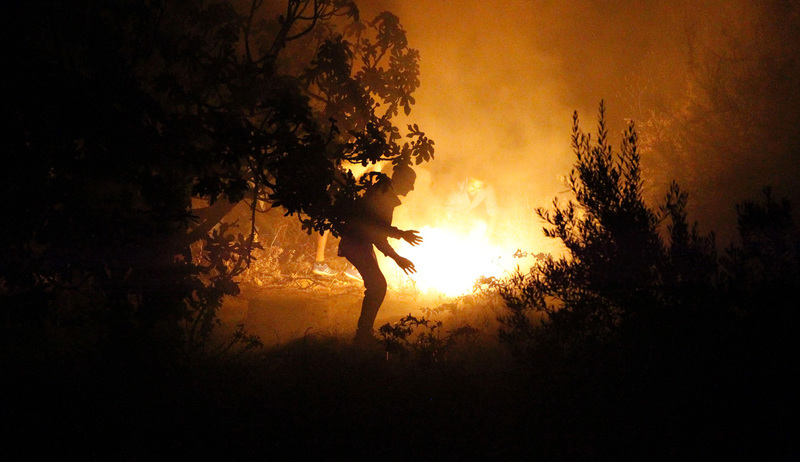 Fortunately, Palestinian public opinion need not be the subject of assertion or speculation. According to David Pollock, a leading scholar in the field, Palestinian survey research is of very high quality, and it should be noted as well that polls of Palestinians are carried out frequently and by a variety of reputable institutes. In preparing this essay, I have examined 400 surveys carried out by five Palestinian research centers, each of which has conducted regular polls in the West Bank and Gaza for many years and has made the results available online in English and Arabic. In addition, leading international pollsters have carried out their own surveys of Palestinians, generally in conjunction with one of these firms or with the Palestinian Center for Public Opinion (PCPO); I have used these as well. Though I have also been given access to some polls not publicly available, this piece, like my previous Mosaic essay, “What Do Palestinians Want?,” is based only on data freely accessible online so that my findings and interpretations can more easily be challenged or confirmed. Support and opposition have been fairly even, with neither of them ever falling below 44 percent or rising above 55 percent. Over time, however, there has been a modest decline in backers. From June 2012 to June 2014, the average level of support was 52 percent, and proponents always outnumbered opponents. From September 2014 to June 2016, average support dropped to just under 50 percent, and supporters were in the majority only half the time. On the three occasions the question was asked since September 2016, the average level of support declined further to 47 percent, with naysayers having the upper hand every time. To help put this pattern in perspective, it is worth looking at the responses of Israelis when presented with a parallel question as part of a “Joint Polls” project carried out by Hebrew University’s Truman Institute for the Advancement of Peace in conjunction with PSR. Between June 2012 and December 2016, Israelis were asked about the two-state solution on nine occasions, and every time an absolute majority backed it, with the average level of support being 59 percent. Over time, this figure decreased slightly; in the most recent poll, December 2016, 55 percent favored “the establishment of a Palestinian state alongside Israel,” while 40 percent were opposed. In any event, relying on responses to this question can be misleading. Among Palestinians, the disparity between support and opposition has often been so slight as to fall within the margin of error. More significantly, what matters for purposes of negotiations and policy-making is not what Palestinians say about a two-state solution in theory but what they think of the actual provisions of a potential deal. What concessions are they willing to make, what are their red lines, and how, after considering the tradeoffs, do they view the package as a whole? PSR has once again provided the best basis for examining this set of questions. On its own and as part of the joint-polls project, it asked Palestinians sixteen times between 2003 and 2015 about a prospective deal between the two sides. The agreement’s provisions drew largely from the “parameters” put forward by President Bill Clinton in December 2000 as the basis for a putative final-status deal being worked on by Palestinian and Israeli negotiators, as well as from the Geneva Initiative a few years later in which leading figures from both sides, acting in their personal capacities, developed the framework for an agreement. East Jerusalem would become the capital of the Palestinian state with Arab neighborhoods coming under Palestinian sovereignty and Jewish neighborhoods coming under Israel sovereignty. The Old City, including al-Haram al-Sharif [“the noble sanctuary,” referring to the al-Aqsa mosque and Dome of the Rock complex located on the Temple Mount] would come under Palestinian sovereignty with the exception of the Jewish Quarter and the Wailing Wall, which will come under Israeli sovereignty. the Palestinian state will have sovereignty over its land, water, and airspace . . . Israel will be allowed to use the Palestinian airspace for training purposes, and will maintain two early-warning stations in the West Bank for fifteen years. The multinational force will remain in the Palestinian state for an indefinite period of time and its responsibility will be to ensure the implementation of the agreement, and to monitor territorial borders and coast of the Palestinian state, including its international border crossings. The refugees will be given five choices for permanent residency . . . : the Palestinian state and the Israeli areas transferred to the Palestinian state in the territorial exchange mentioned above; no restrictions would be imposed on refugee return to these two areas. Residency in the other three areas (in host countries, third countries, and Israel) would be subject to the decision of the states in those areas. 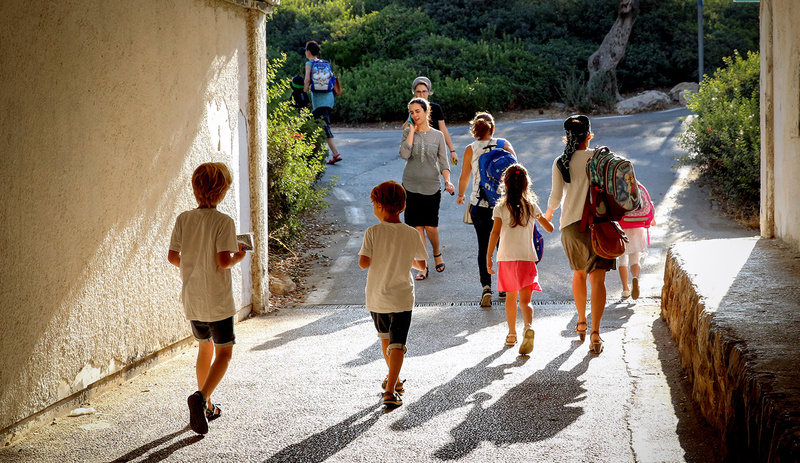 The number of refugees returning to Israel will be based on the average number of refugees admitted to third countries like Australia, Canada, Europe, and others. Taken as a whole, this package went significantly beyond what any Israeli prime minister or government has endorsed to date, publicly or privately. Thus, examining Palestinians’ responses to the proposed deal provides a good barometer of their willingness to accept an agreement as expansive as anything they can expect in the foreseeable future. Fourteen of the sixteen times a generous hypothetical peace deal was presented in surveys of Palestinian public opinion, it met with more opponents than supporters. Fourteen of the sixteen times the package was presented to respondents between December 2003 and December 2015, there were more opponents than supporters. On average, Palestinians rejected the deal by a margin of 54 to 44 percent. Moreover, support decreased over time; the last two times the package was presented, in December 2014 and December 2015, an average of 61 percent were opposed. Throughout the dozen years, those “strongly” opposed outnumbered those “strongly” supportive every time, typically by a margin of more than three to one. Tellingly, opposition was greater, by an average of eight points, in the West Bank than in Gaza, even though the latter is ruled by Hamas and its residents are generally assumed to be more hostile to Israel and to the idea of reaching a peace agreement. The depth of Palestinian opposition to a prospective deal becomes clearer when one examines responses to specific components. Not surprisingly, there was vehement antagonism to limitations on the Palestinian state’s sovereignty, with 70 percent or more consistently rejecting the idea of a demilitarized state and solid majorities, averaging 56 percent, rejecting the arrangement whereby Israel would maintain warning stations for fifteen years and have use of Palestinian air space for training. More surprising, perhaps, is that on all sixteen occasions, Palestinians overwhelmingly repudiated the idea of East Jerusalem becoming the capital of their state and incorporating its Arab neighborhoods, including most of the Old City and al-Haram al-Sharif. (Presumably, the obstacle was that, in parallel, Israel would exercise sovereignty over the Jewish neighborhoods, the Jewish quarter of the Old City, and the Western Wall.) The level of opposition to this plank averaged 64 percent. Moreover, the full extent of hostility to the proposal was likely muffled since, while the question explicitly specified that East Jerusalem would be the capital of the Palestinian state, it omitted any parallel statement about West Jerusalem being the capital of Israel. As for the proposed solution to the Palestinian refugee problem, though it provided an unlimited right of return to the Palestinian state and tacitly reflected some Israeli admission of responsibility for causing and therefore for solving the refugee problem, it, too, was rejected on all sixteen occasions, with an average of 56 percent against it. Nor was much encouragement to be gleaned from the majority support won by two of the provisions, one of which stipulated the 1967 lines as the border between the two states. This should have been viewed as a significant Palestinian victory. Of the territory in play in negotiations, the Palestinians were being given 97 percent of the West Bank outright and one-to-one swaps for the other 3 percent—which they could not reasonably expect Israel to relinquish given the hundreds of thousands of Israeli citizens living there. Indeed, no Israeli government has yet adopted so concessionary a position, and a slight majority of Israelis rejected this plank most of the times it was included in the joint-poll survey. Palestinians generally did back the provision, with support averaging 55 percent, but disapproval grew over time: on the last four occasions the question was asked, average support exceeded opposition by less than a percentage point. When the permanent-status agreement is fully implemented, it will mean the end of the conflict and no further claims will be made by either side. The parties will recognize Palestine and Israel as the homelands of their respective peoples. The good news is that Palestinian majorities averaging 61 percent backed this plank on all fifteen occasions. This is especially important since a key Israeli concern has been that Palestinians would regard a two-state solution as an interim step and not the end of the conflict. The problem, however, is that the language about mutual recognition of “Palestine and Israel as the homeland of their respective peoples” did not reflect the demand made repeatedly by the Israeli government over the last several years that, in parallel to Israeli recognition of Palestine as the Palestinian homeland, the Palestinians must recognize Israel as the state of the Jewish people. after the establishment of an independent Palestinian state and the settlement of all issues in dispute, including the refugees and Jerusalem issues, there will be a mutual recognition of Israel as the state of the Jewish people and Palestine as the state of the Palestinian people. The following December, 58 percent of Palestinians backed the weaker mutual-recognition clause but again only 39 percent were willing to recognize Israel as the state of the Jewish people. The overall picture has not improved in more recent surveys. In mid-2016, PSR changed its Israeli partner in the joint project and altered its presentation of the prospective agreement. The six components were expanded to nine by splitting a few of the more complex points, especially with regard to the division of the territory, and the language was changed throughout. The consequence? Both times they were asked, in June and December of 2016, Palestinians were even less enthusiastic about the reformulated package than they had been about the previous one. The proposal on mutual recognition was opposed by 57 percent; deployment of a multinational force in the Palestinian state by 61 percent; enjoyment of full sovereignty over land, water, and air except for two term-limited Israeli early-warning stations by 65 percent; and the idea of a demilitarized Palestinian state by 78 percent. The question about using the 1967 lines as the basis for borders and adjusting them via territorial swaps was split into two questions, and both were rejected. Sixty-two percent of Palestinians nixed the proposition that: “The Palestinian state will be established in the entirety of West Bank and the Gaza strip, except for several blocks of settlements which will be annexed to Israel in a territorial exchange. Israel will evacuate all other settlements.” A second plank clarifying that “The territories Palestinians will receive in exchange will be similar to the size of the settlement blocs that will be annexed to Israel” was rejected by an even greater margin, with 67 percent against. Even more striking was the response on Jerusalem, likewise addressed in two separate questions. In one, the mere mention of West Jerusalem as the capital of Israel, in parallel with East Jerusalem as the capital of the Palestinian state, apparently led more than two-thirds of Palestinians to express their opposition. A similar response greeted the second plank, with 67 percent turning down Palestinian control over the Haram al-Sharif, the third holiest site in Islam, as well as the Muslim and Christian quarters of the Old City, if gaining such control meant countenancing Israel’s holding onto the Western Wall and the Jewish quarter. Palestinian refugees will have the right of return to their homeland whereby the Palestinian state will settle all refugees wishing to live in it. Israel will allow the return of about 100,000 Palestinians as part of a family-unification program. All other refugees will be compensated. The changes made the provision simpler and more favorable to the Palestinians, since it specified a substantial number who would be settled in Israel independently of any Israeli say-so (and without respect to the numbers of Palestinians being absorbed elsewhere), and omitted any mention of resettlement outside historic Palestine. These changes indeed made a difference; in June 2016, 49 percent supported the provision, while 48 percent were against. When it came to the package as a whole, 59 percent of Palestinians rejected it in June 2016 while only 39 percent accepted it—figures comparable to the averages for the earlier version over the previous three years. Six months later, despite a slight uptick in positive responses to some provisions, Palestinians still rejected the same eight out of nine and also the deal as a whole, with 55 percent against and fervent opponents outnumbering fervent proponents by more than two to one. Once again, the rejectionist tendency was stronger in the West Bank, this time by five points. The bottom line: Palestinians have gone in the last five years from a slight majority saying in principle that they favor a two-state solution to a slight majority against. Far more importantly, on every survey in this same period, clear and growing majorities have expressed opposition to the best deal Israel might agree to in the foreseeable future. Declarations by John Kerry and others notwithstanding, no one committed to laying out the facts honestly can defend the proposition that majorities of Palestinians support a two-state solution. II. If Not Two States, Then What? What, then, do majorities of Palestinians support? It is not easy to answer this question, among other reasons because pollsters have not consistently asked about alternatives capable of garnering large-scale approval. Instead, the main choice offered has been a one-state solution in which Israelis and Palestinians would enjoy equal rights. This idea resonates with Palestinian intellectuals and with some well-placed adherents in Israel and abroad, but has failed to capture the popular Palestinian imagination, even when the question has been phrased in such a way as to prejudice respondents in its favor. Over the last five years, PSR repeatedly introduced its question on the subject with the statement that “Talk has recently increased about the inevitable failure of the two-state solution and the need to demand the formulation of a solution based on the establishment of one state in all Palestinian areas and Israel, one in which Arabs and Jews enjoy equality.” When asked if they support this view, only 30 percent on average said yes while 69 percent rejected it. Some believe that the two-state formula is the most preferred solution for the Palestinian-Israeli conflict; others believe that historical Palestine cannot be divided into two states, so the best solution would be to have a binational state in all of Palestine where Palestinians and Israelis enjoy equal rights. Which solution do you prefer? Faced with this constrained choice, Palestinian respondents consistently preferred a two-state solution, according it anywhere between a plurality of 42 percent and a majority of 58 percent. The binational option never seriously challenged it. Support peaked at 34 percent in April 2010 and dropped markedly since then, ending up at 18 percent in February of this year. Strikingly, however, a high percentage of Palestinians declined to choose either a two-state option or the binational alternative. On average, 9 percent indicated that “There is no solution.” But a significant number called for a different option entirely, one not suggested to them by JMCC field workers: namely, a Palestinian or Islamic state from the Jordan River to the Mediterranean Sea. The size of this maximalist group has averaged 13 percent of respondents and has been growing over time, reaching 18 percent on the last four surveys—an astonishing figure for a choice that has not even been on offer. One can only imagine the percentage were the option actually to be provided. 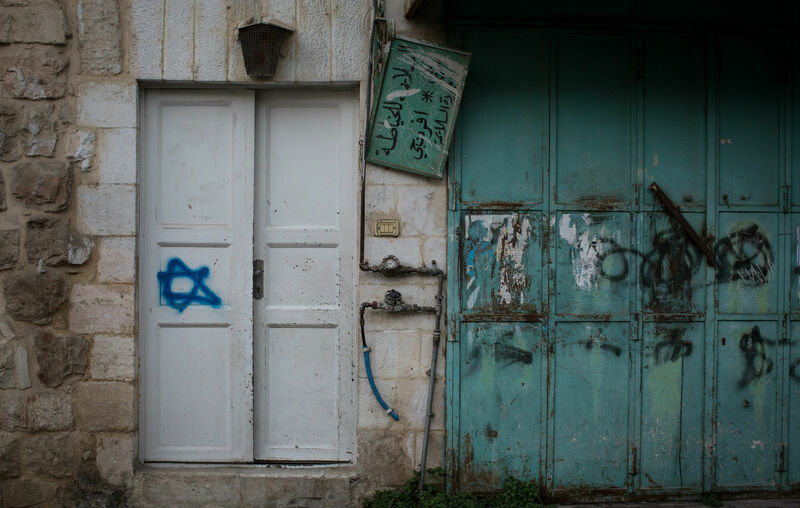 A high percentage of Palestinians have declined to choose either a two-state option or a binational state. They call for a different option entirely: a Palestinian or Islamic state from the Jordan River to the Mediterranean Sea. The fact that these options were linked to particular movements presumably led respondents to be influenced by their views about those movements. As an indicator, respondents in the same poll were asked which party they would vote for; Fatah, the main PLO group, enjoyed twice the popularity of its two leading Islamist rivals, Hamas and Islamic Jihad, combined. That a Palestinian state from the sea to the river nonetheless fared so well points to the resonance of this idea with substantial portions of the Palestinian population. In your opinion, what should be the final goal for the current intifada? Is it the improvement of the Palestinians’ position in negotiations, ending the occupation based on [UN] Resolution 242 and forming a Palestinian state, the liberation of all Palestine, or other? In June 2001, when this was first asked, 41 percent of respondents chose the liberation of all of Palestine, only 5-percent fewer than those opting for a state that, in the Palestinian understanding of Resolution 242, would be situated precisely on the June 1967 borders. Thereafter, support for this one-state option grew, if unevenly. In September 2001, 49 percent—as many as those who chose the other two options combined—opted for the liberation of all of Palestine. In May 2002, the maximalist position gained majority status, with 51-percent backing. After that, support diminished slightly as the second intifada lost steam, but the last time the question was asked, in June 2004, liberating all of Palestine was again the top choice. Over the nine times the question was asked by JMCC, in terms of average support, the liberation of Palestine was in a dead heat with establishing a Palestinian state on the 1967 borders. There are those who believe that the best solution to the Palestinian-Israeli conflict is establishing a single state for both Palestinians and Israelis in all of historic Palestine, while others believe that the solution is to be found in establishing an independent Palestinian state in the West Bank and Gaza Strip alongside a second state for Israelis. There is a third group who believe that the solution can be found in establishing an Arab Palestinian state on the land of historic Palestine. Which opinion do you support? Six percent backed a single state for Israelis and Palestinians, 31 percent the two-state solution, and an overwhelming 62 percent a single Palestinian state in all of historical Palestine. Interestingly, PSR did not mention this finding in its English or Arabic releases highlighting key findings from this poll; nor has it given Palestinians another opportunity to share their personal opinion about the idea of establishing a Palestinian state from the river to the sea. 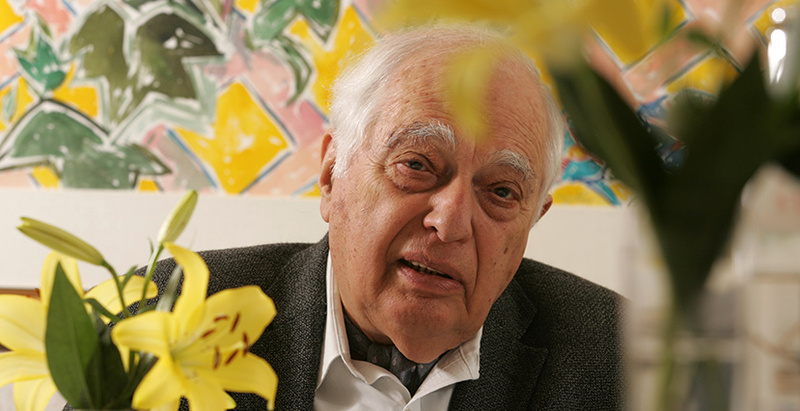 Using this method, Irwin elicited a modestly positive response from Palestinians regarding a two-state option defined in very general terms (“Two states for two peoples: Israel and Palestine”). Thirty-eight percent deemed this essential and 15 percent desirable, while only 24 percent called it unacceptable. But when given the option of historical Palestine (“from the Jordan River to the Sea as an Islamic Waqf”), 59 percent termed it essential and another 12 percent desirable. Even more popular was the solution described as “Historic Palestine: from the Jordan River to the sea,” labeled essential by 71 percent, desirable by another 11 percent, and unacceptable by only 7 percent. In his 30-page report on the results of his poll, Irwin dismissed this finding in a brief sentence: “The first choice for Palestinians is, as might be expected, Historic Palestine at 82-percent ‘essential or desirable,’ followed by an Islamic Waqf at 71 percent ‘essential or desirable.’” No further reference to the finding appears in his report. Yet one cannot but wonder: if this choice was to be “expected,” presumably because any people in a situation of conflict over land to which it has a claim would want all of it, shouldn’t Israelis in overwhelming numbers also be expected to choose, as their ideal outcome, a Jewish state in all of the historical land of Israel? When, however, the Israeli polling firm Daḥaf asked Israelis, on behalf of Irwin’s Peace Poll, what they thought about “Greater Israel: a Jewish state from the Jordanian border to the sea,” only 17 percent called it essential and 10 percent desirable—three times fewer than the number of Palestinians placing historical Palestine in those same categories—while 47 percent termed it unacceptable, more than the combined percentage viewing it as essential, desirable, acceptable, or tolerable. In August 2010, AWRAD applied the Peace Polls methodology in a survey of its own, asking Palestinians: “With regard to the final status of Palestine and Israel, please indicate which of the following you consider to be essential, desirable, acceptable, tolerable, or unacceptable as part of a peace agreement.” When it came to “Two-state solution: two states for two peoples, Israel and Palestine according to UN resolutions,” a plurality of 38 percent found this unacceptable, more than the combined figure viewing this option as essential or desirable. By contrast, 78 percent of respondents called it essential to secure “Historic Palestine: from the Jordan River to the sea as a national homeland for Palestinians.” In October 2010, AWRAD ran another poll repeating these questions, and again a large majority, 65 percent, declared it essential to establish their national homeland in all of historical Palestine. In reacting to a “two-state solution with a Palestinian state side-by-side with Israel as a Jewish state,” only 15 percent placed themselves in the warm zone above 50, with five times that number in the cold zone. Faring a little better, with 23 percent of respondents declaring their sentiments in the warm zone, was the proposal for a two-state solution that did not mention living side by side with Israel as a Jewish state. The third option, a Palestinian state in all of historical Palestine, led 51 percent to put themselves in the warm zone, more than twice the number mustered by even the more palatable version of the two-state solution. In June 2015, another poll by Pollock and the Washington Institute, this time in conjunction with the PCPO, asked about the main Palestinian goal for the next five years, and again the option of “reclaiming all of historic Palestine from the river to the sea” was the most popular choice. This result is particularly astounding given that participants were not asked about a long-term dream, but about what they saw as the goal during the next half-decade. If one is looking for a silver lining, it might be found in responses to a question PSR field workers posed on more than a dozen occasions from September 2012 to March 2016. They asked respondents what they believed was the aspiration of the Palestinians as a collective for the long run. The four choices included a pair that posited regaining some or all of the territories Israel had captured in 1967, and a second pair whose core element was conquering the state of Israel—either with or without “destroying” much of its Jewish population. The first two options combined for a large majority every time, from 61 to 69 percent, while the pair calling for conquering Israel never exceeded 32 percent between them. Thus, while Palestinians personally favored the creation of a national state from the river to the sea, fewer than a third of them believed that this had become their collective aspiration. As far as their own views were concerned, however, when Palestinians were asked between 1994 and 2004 to compare a two-state solution with the idea of a Palestinian state in all of historical Palestine, the two options ran neck-and-neck. Since 2005, regardless of the methodology and the precise wording of the questions, the maximalist option has won every time, usually by large margins. When it comes to what rank-and-file Palestinians think on this subject, these are not exceptional findings. To the best of my knowledge, they are the only findings. III. 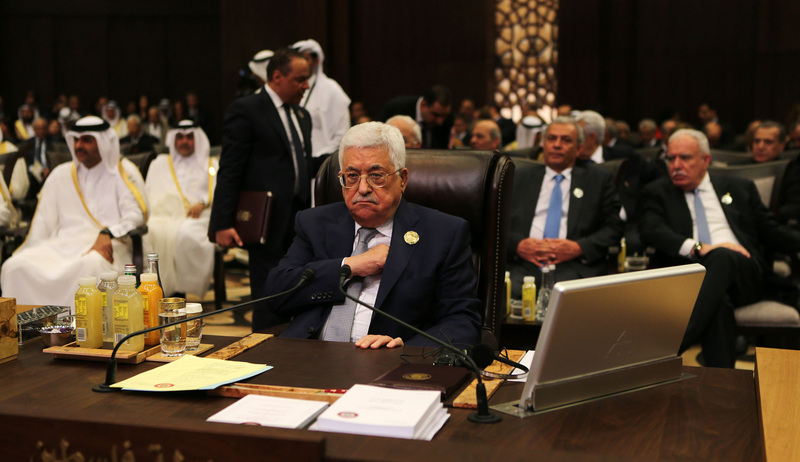 Would Palestinians Accept a Two-State Deal Signed by Their Leaders? In light of Palestinians’ attraction to the goal of liberating all of historical Palestine, the question needs to be asked: what would happen in the event a two-state solution were reached by the leaderships of the two sides and successfully implemented? Would a majority of Palestinians be willing to accept and even embrace this new reality, or would they still want to create a Palestinian state from the river to the sea? Obviously, there’s no way to know definitively in advance. Nevertheless, the question is important—among other reasons, because the premise behind Israeli acceptance of a two-state solution, and behind the American policy of pushing to bring about a Palestinian state, is that doing so would end the conflict and erode Palestinian irredentism and hostility to Israel’s existence. Fortunately for our purposes, pollsters have asked Palestinians over the past decade-and-a-half how their views would be affected by the securing and implementation of a two-state agreement. From 2000 to 2008, PSR asked repeatedly whether, in such a circumstance, respondents would favor a “process of reconciliation between the state of Palestine and the state of Israel.” The good news is that a consistent super-majority, averaging 75 percent, said yes. Open borders with Israel, as well as joint economic institutions and ventures, also commanded healthy majorities every time. But there was one element of reconciliation that Palestinians rejected with astounding unanimity. When asked on sixteen occasions if they would be willing to “adopt [a] school curriculum in the Palestinian state that recognizes Israel and teach school children not to demand return of all Palestine to the Palestinians,” a massive majority, 88 percent on average, said no, and only 9 percent said yes. There is one element of reconciliation that Palestinians have rejected with astounding unanimity: the adoption of a school curriculum that recognizes Israel. It is not surprising, perhaps, that some diehard maximalists would declare in advance their refusal to surrender their dream. But polls at the time showed that around half of Palestinians favored a two-state solution, at least in principle—yet only a tiny minority of these two-staters said they would be ready to take the next, logical step after realizing such a solution by teaching their children to accept that which they themselves had supported. This suggests that for Palestinians, the appeal of liberating all of Palestine might well retain a powerful allure, and that forfeiting the chance to pass on that dream to the next generation might strike them as defeatist and too painful to contemplate. On this point, a comparison with Israeli responses to a parallel question in the Joint Poll is instructive. After all, one might think, perhaps any people with a strong historical attachment to a land that they had long viewed as an integral whole would balk at the idea of abandoning their dream, especially with the finality inherent in accepting a curriculum that seeks to teach all children to give up on it. What happened, then, when Israelis were asked between 2000 and 2008 whether, as part of the reconciliation process, they would be willing to “adopt a school curriculum that recognizes the Palestinian state and gives up the aspiration to get back parts of the ‘homeland’ which are in the Palestinian state”? The answer is that 47 percent, exactly half of those expressing an opinion, said they would be willing to make this change, a figure more than five times greater than the percentage of Palestinians willing to take the parallel step. Hence, the Palestinians’ antipathy to reconciling their children to a two-state reality seems to be not an aspect of a universal phenomenon but rather a reflection of their particular, deep-seated attachments. Clearer and more direct evidence of Palestinian unwillingness to accept a two-state reality comes from the 2011 Greenberg survey. Half the participants were given two competing statements and asked to indicate the one they agreed with more, “even if neither is exactly right.” The two statements were: (a) “The best goal is for a two-state solution that keeps two states living side by side” and (b) “The real goal should be to start with two states but then move to it all being one Palestinian state.” While 25 percent chose the first option, more than twice as many, 52 percent, averred that a two-state solution should be used as a stepping stone toward all of historical Palestine. If the Palestinian leadership is able to negotiate a two-state solution with Israel, do you think that this should be the end of the conflict with Israel, or should resistance continue until all of historic Palestine is liberated? The evidence, though somewhat sparse, is clear. Whenever asked whether, following implementation of a two-state agreement, they would abandon the dream of liberating all of Palestine or at least desist from actively trying to realize it, massive Palestinian majorities have openly insisted that they want it all. And this raises another question: why do most Palestinians support so seemingly chimerical an idea, especially given Israel’s strength, its obvious opposition to any outcome that would entail the ruin of the Jewish state, and the substantial support Israel’s continued existence enjoys from the world’s most powerful nations, including the United States, its closest ally and the leading superpower? The question I’ve just raised, it must be stressed at the outset, is of more than academic interest. If the rationales for maximalist views can be shown to be coherent and even compelling, it would become much harder to dismiss them as superficially held and easily subject to change or, more patronizingly, as the product of Palestinian romanticism or irrationality. Indeed, for advocates of a two-state solution, or for anyone seeking a less contentious relationship between Israel and the Palestinians, understanding why most Palestinians favor a state from the river to the sea might lead to greater appreciation of the task ahead of them if they hope to reshape Palestinian beliefs on this subject in the long term. Generally speaking, there are four distinct rationales that appear to underlie Palestinian support for liberating all of Palestine. They are worth considering in turn. One theory, championed by Palestinian academics and spokesmen as well as many senior officials and opinion leaders from the U.S. and Europe, is that Palestinians have despaired of the two-state solution, not because they reject it in principle but because Israel, by building settlements and by other actions, has demonstrated that it will not accept such an outcome in the foreseeable future or—in a stronger version of this argument—that it has already precluded the possibility of a Palestinian state. Since, the reasoning goes, no Israeli government will muster the political will to uproot more than a small fraction of its citizens from the West Bank, and since Palestinians will not accept a solution that leaves substantial pockets of Israelis in their state, there is no way to create a contiguous, viable polity that could appeal to the Palestinian rank and file. With a two-state solution seemingly impossible, Palestinians prefer to remain loyal to the dream of a single, national state from the river to the sea. Some believe that the two-state solution, an independent Palestinian state alongside the state of Israel, is no longer viable due to settlement expansion while others believe that it is still viable today as settlements can be dismantled or evacuated when an agreement is reached. What do you think? When this question was first posed in March 2012, 58 percent of respondents said a two-state solution was impossible due to Israeli settlements, while 37 percent averred it was still possible. In the most recent poll last month, those figures were virtually unchanged. Indeed, for the period as a whole, pessimists outnumbered optimists without exception, by margins ranging anywhere from 15 to 34 points. It is possible, however, that a question-wording effect has skewed these responses toward the negative. Palestinians have generally shown severe distrust whenever asked what Israeli policy is likely to be, and have also manifested a pronounced tendency to blame Israel for virtually everything that has gone wrong over the past two decades—points on which I elaborated in my November 2015 Mosaic essay. Since a two-state solution is nowhere in the offing at the moment, the opportunity to blame Israel for this situation is attractive, all the more so when the culprit named is the settlements, the expansion of which generates particularly visceral antipathy among Palestinians. For this reason, it is hard to know the extent to which Palestinians are really convinced that settlements make a two-state solution impossible or to what extent they serve as a convenient scapegoat. But even if Palestinians profoundly believe that a two-state option is not viable because of Israeli actions, that still does not explain why they specifically prefer a Palestinian state from the river to the sea—which presumably would require defeating Israel by force or waiting, perhaps indefinitely, for its society to disintegrate from within—over the seemingly more feasible option of a one-state solution in which Israelis and Palestinians live together. That brings us to the second explanation, which stems from the Palestinians’ view of their historical claims and of justice—a view that has long played a significant role in their understanding of themselves and their conflict with Zionism and Israel. 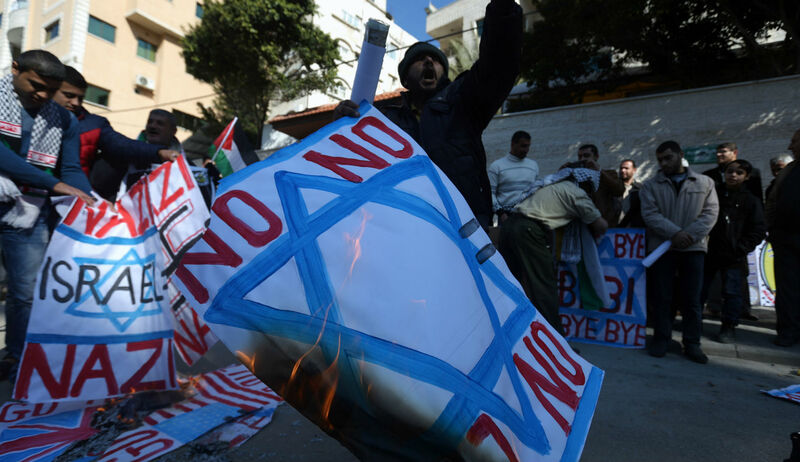 When given the chance, Palestinian majorities have consistently expressed the view that Jews have no right or claim to a state anywhere between the Jordan and the Mediterranean. In the 2011 Greenberg poll, when asked whether certain statements were right or wrong, 90 percent of Palestinians said that “Denying that Palestinians have a long history in Jerusalem going back thousands of years” was wrong, while 72 percent averred that “Denying that Jews have a long history in Jerusalem going back thousands of years” was right. Denying a Jewish connection to the city of Jerusalem, it must be said, effectively means denying a Jewish connection or claim to the land more generally. If these are one’s views, then Israel itself has no right to exist. Indeed, when JMCC asked Palestinians in 1995, “Do you think Israel has the right to exist?,” 65 percent said no. In February 2007, Near East Consulting (NEC), a Ramallah-based survey research firm that differs from its peers in using telephone surveys rather than face-to-face interviews, asked the same question and reported that 75 percent of respondents answered in the negative. NEC asked the question again in May of that year and again the same percentage disagreed. Tellingly, the percentage of naysayers was highest among the young, reaching 92 percent among Palestinians between ages eighteen and twenty-four. To clarify the extent to which rejection of Israel’s right to exist was a response to Palestinians’ perception that Israel had prevented their national state from being born, NEC asked in March and again in April 2007, “Would your opinion about Israel’s right to exist change if there was a two-state solution whereby Palestine is on the land occupied in 1967?” A huge majority of respondents, averaging 68 percent, said this would make no difference. Further confirmation of Palestinian views on this subject can be obtained by examining a response to a question posed in three waves of polling carried out by the Arab Barometer project—an initiative of leading American universities in conjunction with survey researchers from the Arab world at large. In 2006, 2010, and 2012, on behalf of the Arab Barometer, PSR asked Palestinians whether “The Arab world should accept the existence of Israel as a Jewish state in the Middle East when Palestinians accept it” or whether the Arab world should withhold acceptance of Israel even in those circumstances. The latter option was chosen each time by an overwhelming majority ranging from 75 to 80 percent. If there is no historical basis for Palestinians to share “their” land with the Jews, if Israel lacks the right to exist even if the Palestinians also have a state, and if the Arab world should refuse to accept a Jewish state in the Middle East even after the Palestinians come to terms with it, then splitting the historical land of Palestine with the Jewish state lacks any moral basis, while incorporating all of it in a Palestinian state is a just outcome. Which statement comes closest to your opinion? (1) A way can be found for the state of Israel to exist so that the rights and needs of the Palestinian people are taken care of, OR (2) The rights and needs of the Palestinian people cannot be taken care of as long as the state of Israel exists. Only 17 percent of Palestinians believed Israel’s existence was compatible with the realization of their rights and needs, while 80 percent believed it incompatible. The identical question was asked in 2007, with similar results: 77 percent of Palestinians believed they could not achieve their national rights or meet their needs as long as Israel existed. Most Palestinians see themselves caught in a zero-sum game in which Israel’s very existence negates the possibility of a viable Palestinian state. Most Palestinians thus see themselves as being caught in an extreme version of a zero-sum game, one in which Israel’s very existence necessarily denies the possibility of a viable and durable Palestinian state. Indeed, on their view, so long as the state of Israel lives, it will remain intent on eliminating not only any Palestinian state but also any Palestinian presence between the Jordan and the Mediterranean. If that is the case, a two-state solution is no solution at all; the only choice is a one-state solution, either Israeli or Palestinian. Within such an understanding of reality, it is hardly surprising which choice most Palestinians favor. None of the three reasons adduced so far suggests that liberating all of Palestine is in fact viewed as feasible. But the fourth and in many ways most compelling reason leading Palestinians to back a maximalist solution is their belief that, over time, this goal can indeed be achieved, since they have greater staying power than the Jewish state. If more than two-thirds of Palestinians believe that Israel is unlikely to exist as a Jewish state in another generation, then support for the long-term goal of establishing an Arab state in all of historical Palestine begins to appear entirely reasonable. Indeed, Palestinian religious and cultural figures regularly liken Israel to the medieval Crusader kingdom in the Holy Land, a foreign entity that lasted in the predominantly Muslim Middle East for less than two centuries. Viewed from this angle, Israel as a Jewish state will similarly pass, at which point it might well be replaced by a Palestinian state from the river to the sea. Together, these four explanations provide a powerful, interlocking set of reasons for Palestinians to continue embracing the vision and intention of establishing a state in all of historical Palestine. Seen from this perspective—as Palestinians consistently make it clear that they do see the world—both vision and intention make a great deal of sense. V. What Follows for Policymakers? These are the facts, and denying them is of no avail. It cannot reasonably be shown that the Palestinians pollsters who carried out the research are unprofessional, or that the respondents did not really mean what they said, or that I have omitted significant countervailing evidence that would materially alter the picture. While I welcome challenges to my interpretations of the findings, I believe that, at the end of the day, these, too, will withstand scrutiny. That being so, what follows for those, especially policymakers in the U.S., Europe, Israel, and elsewhere, who are interested in bringing about a peaceful and stable resolution of the conflict between Israelis and Palestinians? First and foremost, they need to face reality. Instead of creating, or parroting, the false impression that Palestinians support a two-state solution, and then insisting that these allegedly positive sentiments be harnessed immediately lest they fade away, the truth must be acknowledged: if a two-state reality is the goal, Palestinian public opinion does not abet but rather constrains progress toward that goal. Needed, instead, is action designed to reverse the current state of affairs: policies that seek to reduce decisively popular Palestinian support for a maximalist state. To date, efforts in this realm have focused on only one of the putative factors leading Palestinians to prefer one state over two: namely, the expansion of Israeli settlements. Although this is an issue about which Palestinians express vehement opinions, it is difficult to claim that it is the sole factor at work here. Indeed, given that most Palestinians say they would favor the liberation of all of Palestine even if a Palestinian state were created—which would mean removing the settlement issue by uprooting most of the ones already established and blocking any new ones from springing up anywhere in that state—even the most radical steps to halt construction in all Israeli settlements can hardly solve the problem of the maximalist streak in Palestinian public opinion. Even the most radical steps to halt construction in all Israeli settlements can hardly solve the problem of the maximalist streak in Palestinian public opinion. There are, in any event, three more fundamental reasons why most Palestinians assert their support for a state from the river to the sea. One of them is the belief that Israel has no historical or moral claim to any of the land between the Jordan and the Mediterranean. In response, Western leaders must insist, and insist again, on the irrefutable facts concerning the Jewish people’s deep historical connection to the land of Israel—and demand the removal of canards on this subject from the speeches and statements made by the leaders of Mahmoud Abbas’s Fatah movement and Palestinian Authority, and from official Palestinian media. The second widespread belief is that the sheer existence of the state of Israel inevitably means that there cannot ever be a Palestinian state. This idea has been fueled in large part by the Palestinian political and religious leadership, which trumpets libelous claims to the effect that Israel aims to replace the mosques on the Temple Mount with a Jewish synagogue or carry out wholesale ethnic cleansing of the Palestinian Arab population. Policymakers in the U.S. and elsewhere must protest and demand a halt to this kind of incitement as well. The third belief is that time is on the side of the Palestinians. Would-be Western peacemakers, with their warnings of a shrinking window of opportunity in which to create a two-state solution and dire predictions of what will happen in its absence, have been instrumental in fostering this belief. By giving Palestinians the sense that Israel’s support from abroad is rocky and its long-term prospects bleak, they encourage the Palestinians’ conviction that time is on their side and that they need not act decisively to make the concessions needed to reach an agreement with Israel. Paradoxically, but predictably, these same leaders are making it that much harder to achieve the two-state solution they embrace. Despite the magnitude of the challenges laid out here, the findings in this essay are no reason to despair and do not justify abandoning a two-state solution on the grounds that it cannot secure popular Palestinian support. To the contrary: by ceasing to deny reality, Western peacemakers could encourage Palestinian nationalists to begin seeing their contest with Israel not as a zero-sum battle in which a monopoly of right belongs to one side, but as a conflict in which two legitimate claims have been pitted against each other and must be resolved. To bring about such an outcome, the first step forward demands frankness on the part of Western leaders concerning what Palestinians really think about a two-state solution and about the still-potent dream of liberating all of historical Palestine. Palestinians Aren't Ready to Make Peace with Israel. That Doesn't Rule Out a Peace Deal.